The smallWORLD Festival was a one-off mini-festival world music that took place at Bristol’s Colston Hall on Saturday 8th of October 2011 as part of the Schumacher Centenary Festival to mark the 100th anniversary of E. F. (Fritz) Schumacher the green pioneer and visonary and author of “Small is Beautiful”. The whole weekend event was based around talks, lectures, discussions and workshops but the Saturday night was given over to showcasing some of the remarkable music to be found around the world - and on our own doorstep. 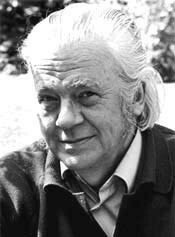 Half a dozen acts were programmed in by no less than Thomas Brooman (ex-Womad Artistic Director and currently co-founder of the HOME world music festival). The night started with a performance in Colston Hall’s lower bar area by Colores de Colombia, to get people in the mood for the headline concert acts in the main stage two floors above. They are a family group (the youngest member probably not long into double figures) with origins in Colombia that perform traditional music and dance from the amazingly rich and diverse folk customs of Colombia’s Caribbean coast. 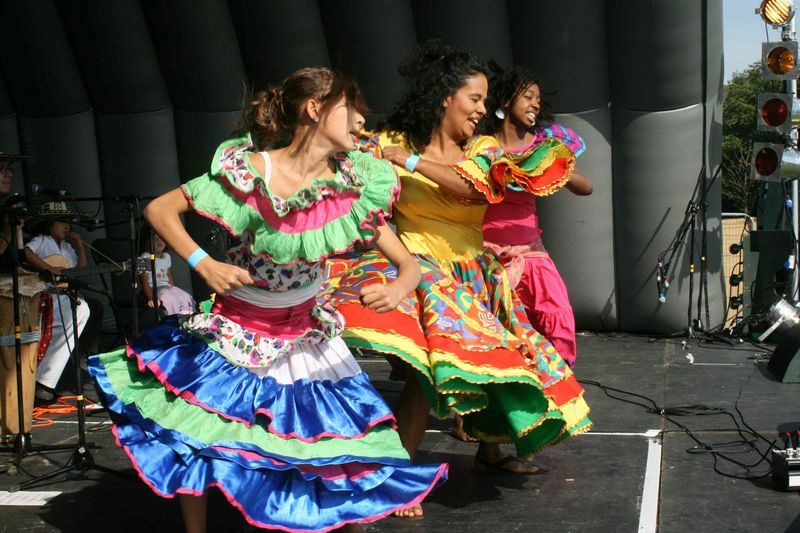 The group consisting of three female singers/dancers and a combination of guitars, flutes and drums showcased such styles as cumbia, gaita and mapalé. If you’ve ever seen or heard Totó La Momposina, then you’ll know what to expect. Sadly the acoustics in the foyer were not really conducive to enjoyment with a very ‘lively’ sound prone to dynamic spikes that constantly seemed too loud and in-your-face. Pity. The band were due to do two sets, the next being in the interval but this was scrapped since the main concert was an hour late starting due to the soundchecking complexities of fitting five very diverse acts into a limited time space. "a heavy, heavy sound ..."
The rest of the night eventually kicked off at 8.30pm with Johnny Kalsi’s Dhol Foundation. 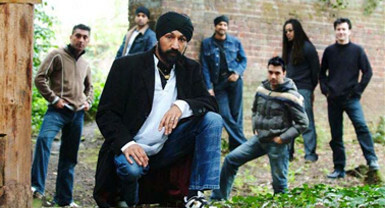 Bhangra music has been big in urban Britain for quite a while now with all styles represented: from heavily amplified electronic tunes and performers enjoying pop star status to colourfully-dressed musicians performing traditional, rural music and dance. However, anyone expecting a nice polite Asian percussion concert was in for a shock - this was the equivalent of Heavy Metal bhangra - full of energy, sleeveless t-shirts, bulging biceps and plenty of headbanging although with a smattering of streetwise mohican haircuts. Johnny’s Dhol Foundation drummers (sporting t-shirts with “TDF: Too Damn Funky” on them) played an assortment of four large dhol drums with, behind them, one tabla player and a dholak-player (dholak is like a small dhol drum). They all played to bhangra backing tapes (ie pre-recorded vocals/bass/keys etc), but somehow this didn’t seem to matter too much, since TDF hit the stage with enormous energy. This is a heavy, heavy sound with loads of synchronised drumming, jumping and testosterone-fuelled swag! By the end of the second song people were crowding into the aisles and down the front to throw themselves around in a variety of dance styles. By the fourth tune the music turned into an amazing celtic folk-meets-bhangra mashup. Surprisingly good and not at all what you’d expect. They might have only played for half-an-hour, but they threw themselves into their perspiration-soaked performance and definitely got the whole night off to a thundering good start. "Songs of subtlety and delicacy delivered with wit." 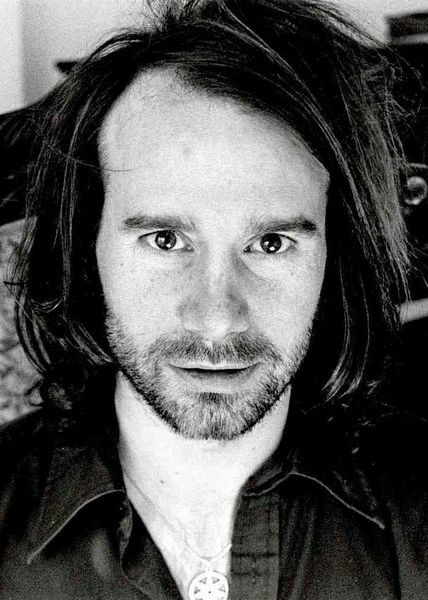 Patrick Duff is a Bristol-based singer-songwriter and former lead singer for alt.rock band, Strangelove. He appeared on the large stage a lone man and his guitar in an old suit and battered hat as if he’d just walked there from busking at Bristol Temple Meads. First song was called “Maria” (I think) the tale of a middle-aged man who falls in love with a younger woman and was followed by a track called “Henry James”. Patrick said that often songs come down to songwriters in bits and pieces, a word or a phrase or a concept at a time - but that this one came complete. After the full-on barrage of The Dhol Foundation, Patrick did a great job of capturing the audience’s attention. If the former spoke to the body, Patrick spoke to the heart and soul. Within a minute or two he commanded a quiet and respectful audience, ones moreover that listened intently to the stories unfolding. In some ways he reminded me of Rory McLeod. Songs of subtlety and delicacy delivered with wit. Patrick took a few minutes to tell a long tale regarding the story of an 81 year old South African woman who he heard making music during a difficult time in his life. Urged by Thomas Brooman, Patrick went to South Africa staying with and learning from this remarkable old lady. What came about from this more than anything was his admiration for “authenticity of spirit”. Something he obviously decided to pursue in his own songwriting. He dedicated the last track called, I believe (although I might have misheard), “Thank You,” to this woman and to his own mother as a song of gratitude. I wasn’t sure about him at first (I often find singer-songwriters a bit self-indulgent, although admittedly baring your soul can be a brave act in itself), however I must confess Patrick Duff won me over. Whilst waiting for the stage turnover, one of the organisers of the Schumacher Centenary Festival (and President of the Schumacher Society), Simon Cooper spoke about recording the Gambian Kora player Amadou Bansang Jobarteh many years ago (the 1970s I think) - in fact Amadou was the first Kora player I ever heard, via Alexis Korner’s radio show. Cooper and colleagues were frantically recording a documentary about Jobarteh because they thought that the kora was about to die a death and this was the last chance to get it on film and preserve it for posterity. Obviously history has proved them wrong and as Simon pointed out, there has been not just a resurgence but almost a renaissance of kora playing and composition since then. And so he introduced Seckou Keita from the Casamance region of Southern Gambia - now resident in the UK. "gentle ripples of sound emanated in waves"
I was lucky enough to see Seckou Keita earlier on this year at Brooman’s HOME Festival in Devon and was completely bowled over by him then. Seckou came on and sat down, legs apart, head down and hunched over his kora with what looked like a pained expression on his face (concentration in fact) and played his first tune amidst the quietness of 200 people holding their breaths, creating a stillness around him that spread out from the stage over all the hall. 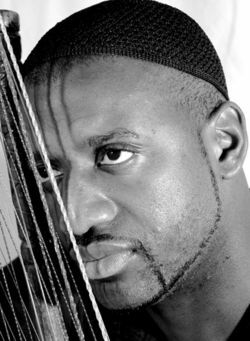 Gently, meditatively and almost so quietly you could barely hear, he stroked the strings of his kora (African Harp) and the gentle ripples of sound emanated in waves over the waiting ears of the audience. And so he captures you. Seckou is renowned for experimenting with tunings on his koras to expand his repertoire and create more opportunities to play with other instruments and styles and so for the second tune he swapped his koras over. This number was more overtly rhythmic and a little faster, but always with great attention to and use of dynamics. Seckou gets amazing bass sounds from his koras, the range is stunning from rib-wobbling lows to skin-tingling high notes, evidence of his amazing technique and ear. "from rib-wobbling lows to skin-tingling high notes"
Quite some minutes into the tune he started singing, adding another colour to the palette of sounds and then out of nowhere and with a single hand gesture from Seckou the audience joined in with the chorus - completely unprepped I add!. Beautiful! After this he invited on his brother and sister (Surahata Suso on calabash, dun-dun and other percussion; Binta Suso on vocals) and upped the energy, standing up and playing his kora from his waist. By the fifth song people were dancing down the front again. His brother upped the speed, Seckou moved onto djembe, Surahata moved back to calabash and hi-hats and Binta onto dun-dun drums in an exhilarating pure percussion breakdown, Seckou proving that not only is he an exceptional kora player but that he’s no mean djembe player too. The audience were quite right when they didn’t want to let them go! At this point in the evening there should have been an interval and Colores de Colombia would have performed in the Foyer, but with all the delays earlier, the show rolled on and next up was the great Indian percussionist Trilok Gurtu. "a masterclass in skill, technique and suggestion"
Trilok came on with little fuss, sat behind his tabla and cheekily enquired of the audience whether they’d decided to stick around for him too. He started tapping on his tabla seemingly at random and it took quite a few moments for me to realise that he’d begun (I assumed he was tuning up, but no). However, we were in for a real treat as Trilok delivered a masterclass in skill, technique and suggestion as he built up his solo. At times it was pure jazz (or is jazz just a pale imitation of Indian improvisation?). Incredible sounds and subtleties poured out of his tabla and bayan drums and then all of a sudden he was playing tabla with his right hand and djembe with this left and then back onto bayan. 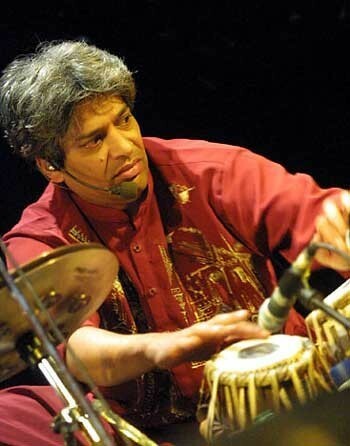 In fact watching his left hand playing the bayan (the lower pitched pair of the tabla drums, with the ability to bend the notes using the heel of the palm of the hands) was like watching a tarantula biting its victim in super-speeded motion - such power and control. I wonder if he suffers from RSI? He used his incredible technique to play with tempos and sound effects - quite mesmerising. In the second tune he tried to get the audience to become part of the music by vocalising alongside him, ie he set up different rhythms and sounds to be performed by the audience as a basis for him to solo on top of, using a combination of cajón (wooden box drum) and his own vocals. It was a little too ambitious for the audience in hand - and especially given the time-restraints. In fact British audiences are notoriously difficult to work with rhythmically and so this section didn’t work so well. A pity because it could have sounded amazing, but he really needed a whole night to work the audience up to what they’re capable of. And then sadly after just two tunes that was it! Time up, get off-stage, next act on! I did feel that perhaps the organisers had been a little ambitious in their programme - the acts were all good, but there was no margin for error in the stage management and once the soundchecks ran over, they were running to catch up in a night where there was never any room to overtake. Still, that’s life - or at least festivals! "happiness the order of the day." Last act up was Jamie Smith’s Mabon. Having seen and written about JSM before I knew very well what to expect - and they didn’t disappoint. I gave up taking notes and just fired off photos and enjoyed myself. 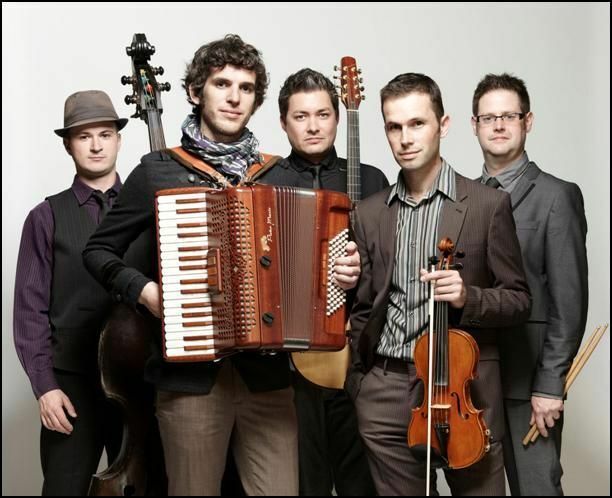 JSM play interceltic folk and have a line-up that includes some of the cream of the UK’s vibrant young folk scene with violin, bazouki, bass, drums and accordion (played by Jamie Smith himself). They are easily one of the best of the UKs folk bands, making full use of great melodies, driving rhythms and an irrepressible stage presence without ever having to over-egg the performance. The music - and the audience reaction - speaks for itself: all empty spaces given over to dancing, legs and arms on auto-pilot and happiness the order of the day. JSM, as you’d expect, delivered.